As we all know, Samsung is one of the best selling mobile brands in India. With a decent price range and amazing features, Samsung has become a win-win mobile for all. Last year was indeed a good year for all those gadget freaks as there were pretty many new mobile releases and though all of them couldn’t impress in the market. Considering Samsung, though there were a few new releases last year, there are still certain old handsets that create some vibe in the market due to its reasonable price and amazing features. You can check for all the latest Samsung mobiles at Pricerani.in, one of the best online destinations to find good deals on mobiles on all brands. So, here is a list of 10 best selling Samsung Mobiles you should consider buying even in 2017. Samsung Galaxy has been one of the best selling Samsung mobiles and is priced at Rs.23,990. 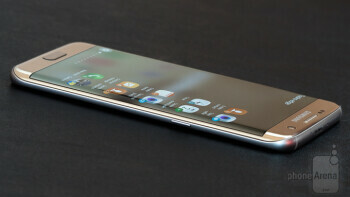 The mobile has a 5.7 inch full HD super AMOLED display. It runs Android 5.1.1 Lollipop upgradable to 6.0. It is powered by a 1.8 GHz octa-core Snapdragon 615 processor and 2GB of RAM and a Li-Ion 3,050 mAh battery. It comes with a 16MP primary camera with LED flash and a 5MP front camera, has 32GB of internal storage capacity expandable to 256GB. The various connectivity options include 4G, Wi-Fi 802.11 a/b/g/n/ac, GPS, Bluetooth 4.1 and a microUSB 2.0 port. Best priced at Rs.33,100, Samsung Galaxy Note 4 is available in four different colors. It runs Android 4.4 KitKat and comes with the S Pen stylus, features a 5.7-inch Super AMOLED display with Quad HD (2560×1440) resolution, 16MP rear camera with dual-LED flash and a 3.7MP secondary camera, is powered by a 2.7GHz quad-core Snapdragon 805 processor, has 3GB RAM and 32GB internal storage with a microSD slot that can extend storage up to 128GB, is powered by a Li-Ion 3220mAh battery and the connectivity options include 4G LTE, Wi-Fi 802.11ac, Bluetooth 4.0, Infrared, NFC, and microUSB. Samsung Galaxy S3 Neo is indeed a budget friendly handset which is priced at Rs.7,999. This dual sim phone runs Android 4.3 (Jelly Bean), has a 4.8 inch HD Super AMOLED capacitive touchscreen, is powered by a 1.4 GHz quad-core processor, has 1.5GB RAM and has a memory card slot supporting 64GB, has an 8MP primary rear camera with LED flash & a 1.9MP secondary camera and a removable battery. The connectivity options in the device include EDGE, 3G, Wi-Fi, Bluetooth, NFC& USB. Samsung Galaxy S6 is available online exclusively on AmazonIndia at Rs.81,346. This is the price for the 64GB variant. It is also available in 32GB and 128GB variants. It runs Android 5.0 Lollipop OS, has 3 GB RAM. The unique features of this mobile include Gorilla Glass 4 back panel, Exynos 7420 octa-core processor, Heart-rate sensor and Wireless charging. Priced at Rs.16,450, Samsung Galaxy S2 runs on Android Gingerbread/Ice-Cream Sandwich OS which is upgradable, sports a 4.3-inch Super AMOLED Plus capacitive screen, is powered by 1.2 GHz dual-core Exynos 4210 processor, features an 8 MP rear camera with LED flash and a 2 MP front camera, has 1GB RAM and 16/32GB internal storage which is expandable up to 32GB via microSD card and has a Li-Ion 1650 mAh battery. The connectivity options include 3G, Wi-Fi 802.11 a/b/g/n, Bluetooth 3.0, NFC (optional) and microUSB 2.0. Samsung Galaxy On5 Pro is priced at Rs.7,990 and is available in two colors – Gold and Black. It runs Android 6.0 Marshmallow, has a 5-inch HD display, is powered by a quad-core 1.3GHz Exynos 3475 processor and 2GB RAM, has an 8MP rear camera with a LED flash and a 5MP front camera and is powered by a Li-Ion 2,600 mAh battery. Connectivity options include 4G, Wi-Fi 802.11 b/g/n, Bluetooth 4.0, GPS, and a microUSB 2.0 port. Apart from these 7, you can also look for Samsung Galaxy Note 5 Dual SIM, Samsung Galaxy Core Prime, Samsung Galaxy Grand Max, etc. which are also among the best selling mobile’s list. There are a few upcoming Samsung mobiles as well which you can have a peek-a-boo which include Samsung Galaxy J1 4G, Samsung Galaxy S8 Plus, Samsung Galaxy C9 Pro, etc.